To remain ahead of the curve, you need to be constantly thinking about your public relations strategy for tomorrow, not just today. Considering the pace at which everything is moving, including digital innovation within the industry, it’s more necessary than ever to keep your focus on the future. Big Data is everywhere. You can find data on who your audience is, what information they are interested in and where they go to find it. By using this information, you can tailor you PR strategies and deliver content that appeals to your target audience. Not only will this keep them engaged, but it will also ensure that you are creating newsworthy content and thought leadership pieces that drive brand awareness and builds credibility. The insights gathered from analysing the data will also help you to select the right media to pitch your story to, and lets you prove the value of your content by aligning it to each media’s audience demographics. To ensure that your PR strategy continues to deliver results, you can also use data for measurement and reporting. This can be done by identifying your best performing content, as well as the media channels that receive the most traffic, and adapting your plan accordingly. Loyal customers are possibly the best advocates a brand could ask for, which is why involving your audience in your brand’s story is important when it comes to future-proofing your PR strategy. You can do this by inviting customers to be a part of product launches, promotions and campaigns. Additionally, you can give your audience an authentic view of your brand by sharing behind-the-scenes clips of campaigns or by sharing exclusive interviews. Collaborating with your customers allows them to truly ‘live’ your brand and will encourage them to share their experience with their followers. Not only does this build brand trust, but it gives you access to a wider audience of like-minded individuals. You don't have to limit collaboration to the borders of your own country. With an expanding global economy, you can now reach and ‘collaborate with’ a wider network of content creators, which, in turn, will allow your brand to connect to an international audience. In order to get your press releases to drive more traffic to your website and build greater brand awareness, you need to start considering other forms of digital marketing. 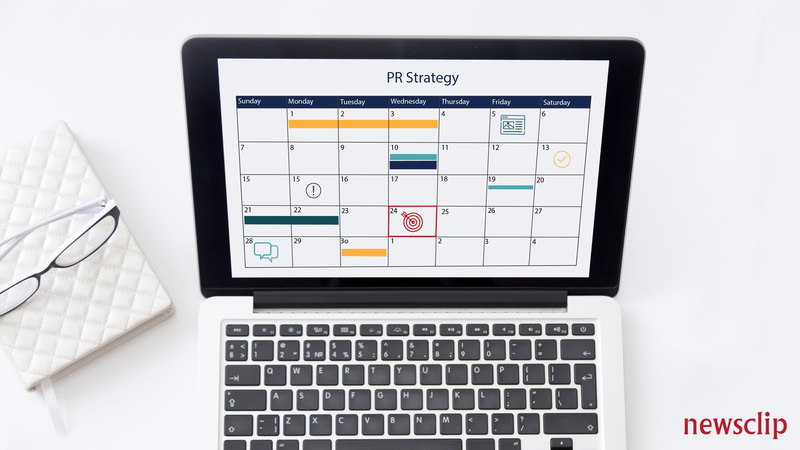 One way to do this is by amplifying your PR content on social media in order to reach a wider audience for higher engagements and, ultimately, drive traffic back to your website. Another way is to post frequent blog articles where you share topical content or helpful guides. Not only will this improve your SEO (with highly searchable and informative content) but it will also position your brand as the ‘go-to’ for industry insights and tips. Including an influencer marketing strategy in your PR activities is a great way to share your brand story and engage with a niche audience. This is because micro- and nano-influencers have groups of dedicated followers with the same interests. If these align with your brand, then they are the perfect audience to reach out to. Organic traffic can be boosted with paid campaigns on social media and other forms of digital advertising. In a digital-focussed future, an integrated PR strategy is vital. Customers are constantly bombarded with brand messages, which is why it has become increasingly important to stand out. For this reason, having a PR strategy that is centered around selling a product or service is just not going to cut it anymore. Customers connect with a brand whose values align with their own. Therefore, it is important to communicate your brand’s greater purpose, be it a commitment to sustainability or ongoing corporate social investments, etc. Let your customers see what is at the heart of your brand, as this is what will make it memorable. Tell a story that is honest and connects with your audience’s emotions so that they can confidently choose your brand and tell others of the impact you are making. Because smartphones have made creating video content so easy, the medium is here to stay. To future-proof your PR strategy, make sure that you include video content that is of great quality. This can be done by using videos to pitch press releases to the media or highlighting industry insights in a short video for social media. Videos also allow you to show your audience the faces behind your brand, which allow you to share stories and real-time experiences. Including videos and photos can enhance your PR campaign as it lets you share your brand’s story using a medium that elicits more engagement from your audience. By creating shareable content, your customers can easily send it to their network of friends, which will help to promote your brand further. Now that you know how to future-proof your PR strategy, here are 4 ways to WOW your PR clients with great reporting.